Scott Elmquist Nick’s International Market no longer offers fresh deli sandwiches, but its new location is a haven for Greek groceries. 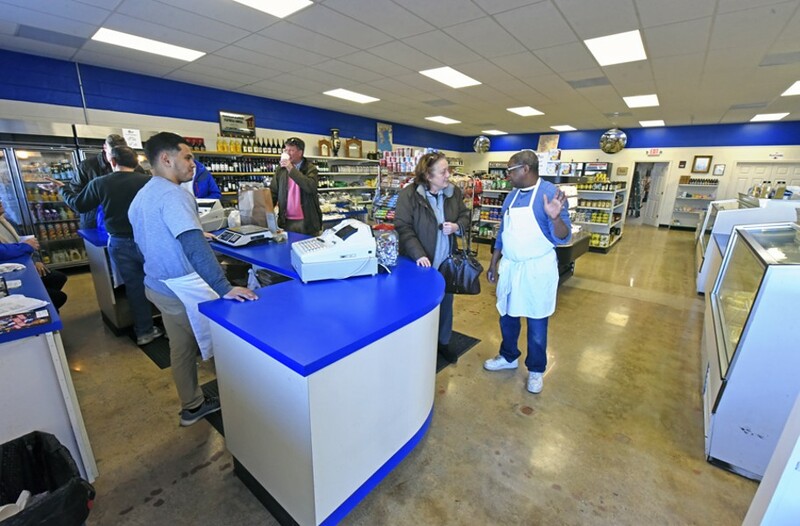 We were all thrilled for the team at Nick's when the international grocery store, owned by a Greek family, moved to Westwood Avenue earlier this year. The new store features roomier aisles and a considerable amount of storage compared to its original spot on Broad Street — owner Manuel Mouris, the son of founder Nick Mouris, says the storage space is larger than the entirety of the old store. Moving into the new digs did, however, eliminate the long-beloved sandwich counter. The little deli featured a simple but comprehension selection of cold cuts, cheeses and olives. At lunchtime the line snaked around displays of imported breads, olive oils and vinegars, and it was well worth the wait. For years, dedicated regulars described the sandwiches as hands-down the best in town, raving about the sopressata mortadella prosciutto, the roast beef and the gyro — are you crying mournful, nostalgic, hungry tears yet? The good news is, sliced-to-order cold cuts and cheeses are still available for purchase, so if you're truly dedicated to that No. 13 sandwich, you can always make your own at home. And longtime deli man Toney Wiley may not be behind the counter anymore, but you'll find him roaming the aisles, and he may even give you some tips if you're hoping to build your own lunch.